You are here: Home / Family / Pink Shirt Day, So What’s With That Anyway? Pink Shirt Day, So What’s With That Anyway? Today was Pink Shirt Day. It was mentioned in the school calendar/newsletter that they sent home at the beginning of the month. There was a separate reminder slip that came home a few days ago, and even an automated phone message from the principal reminding parents and students to “Wear pink!”. So I think it’s safe to assume that this whole wear a pink shirt thing is considered pretty important at my kids’ school. I helped the kindergartner, Gigi, get dressed this morning, letting her pick from a handful of pink shirts laid out on her bedspread. I was happy when she decided on something with long sleeves, and opted for the matching bright pink pants. Gracie, a.k.a. Little Miss Grade Three, who also owns approximately 5672 things that are pink, refused to wear a pink shirt today. I wasn’t going to fight with her over it. I mean bullying her into wearing a pink shirt just seemed silly, but I did ask “Are you sure?” at least three dozen times. What’s the deal with Pink Shirt Day anyway? 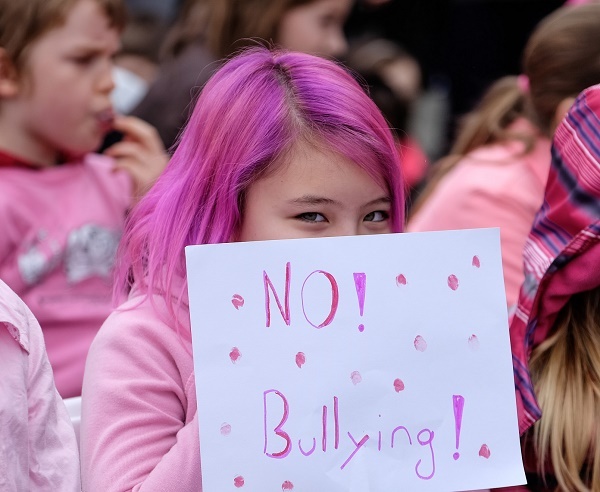 While the internationally recognized Anti-Bullying Day, also sometimes known as Pink Shirt Day, was declared by the U.N. to be May 4th, many people also celebrate pink shirt day in February in honour of an event that happened in Nova Scotia in 2007. David Shepherd, Travis Price and their teenage friends organized a highschool protest to wear pink in sympathy with a Grade 9 boy who was being bullied [for wearing a pink shirt on the first day of school]. [They] headed off to a discount store and bought 50 pink tank tops. They sent out message to schoolmates that night, and the next morning they hauled the shirts to school in a plastic bag. As they stood in the foyer handing out the shirts, the bullied boy walked in. His face spoke volumes. ‘It looked like a huge weight was lifted off his shoulders,’ Mr. Price recalled. The bullies were never heard from again. I get that the idea behind the whole “everyone wear pink” thing is solidarity, and as someone who was mercilessly bullied through gradeschool and highschool I fully appreciate the open conversation and awareness of bullying that days like this promote. However, I’ve been thinking that maybe Anti-Bullying Day shouldn’t be about wearing pink. It should be about wearing whatever the heck you truly want to wear. I mean how subversive is it for my daughters to dress in pink? How about instead I send them to school rocking their black Batman “boys” shirts, or the Darth Vader sneakers that my eldest got made fun of for owning. I mean, I find myself having to remind my daughters, at least once or twice a week, that they can wear whatever they want. Particularly Grace. As she gets older I often find myself reminding her all the time that her outfits aren’t anyone else’s choice or business. As long as it’s clean, comfortable and weather appropriate, she can wear whatever she likes, and anyone who tells her otherwise is silly. She doesn’t have to dress in pink, purple or floral anything. She can, but she doesn’t have to. She can wear that Star Wars T-shirt that someone said was “just for boys”. So, I guess that means when it comes to Pink Shirt Day she can go to school in a grey sweater dress, if it’s what she really wants to wear. What do you think? Should I have tried to talk my grade three kid into wearing pink today? Do you encourage (or force?) your kids to take part in things like this, or do you go with the flow? Good for you, mama! My daughter just turned 10 years old. I think you did the right thing, letting your daughter "go with the flow" and not forcing her to do anything. They often have special dress up days at her school, i.e. sports shirts, hats, wear certain colours, etc. My daughter chooses whether or not to wear it. I have given up advising her on what to wear. She is at an age where she can choose her own clothes, even if I cringe because it's not "matchy matchy" lol. My daughter is not into wearing girly girl stuff like a lot of her friends and classmates are. She doesn't like boy stuff either, just comfortable clothes that aren't necessarily trendy. For her, comfort is the main thing (as it is for me) with clothes. These battles over clothing are just beginning I'm afraid, and will last from now until high school. I was bullied as a child too for not wearing the "right" clothes. 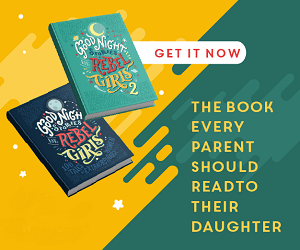 Parenting is all about choosing your battles. What your kids wear to school (unless it is immodest, or unsafe i.e: shorts in -20) shouldn't be one of those battles. Good call! I agree that the point of anti-bullying day should not be about wearing pink, but about wearing whatever you like. Ironically, I can envision kids who decide not to wear pink on Anti-bullying day being bullied for not wearing pink. In KG my son didn't wear pink on Anti-bullying day because he said he doesn't bully year round so he didn't need to wear a pink shirt on one particular day. My daughter was bullied when she was 5 years old for wearing a Winnie the Pooh shirt because she was told it was babyish. I've always told my kids to like what they like and not worry about what other people think. (easier said than done at times though). I totally believe in bullying awareness, I agree with you, that it should be not be all about the pink shirt. As I know of families, that children were bullied on the day of pink shirt day because they didn’t wear their pink shirts, I wish schools were more open minded that it’s not about the colour you wear the day of, but to stand up for your actions. Several years ago I started a Facebook photography project, called be your own hero, for children to think more about their contributions and bring awareness.